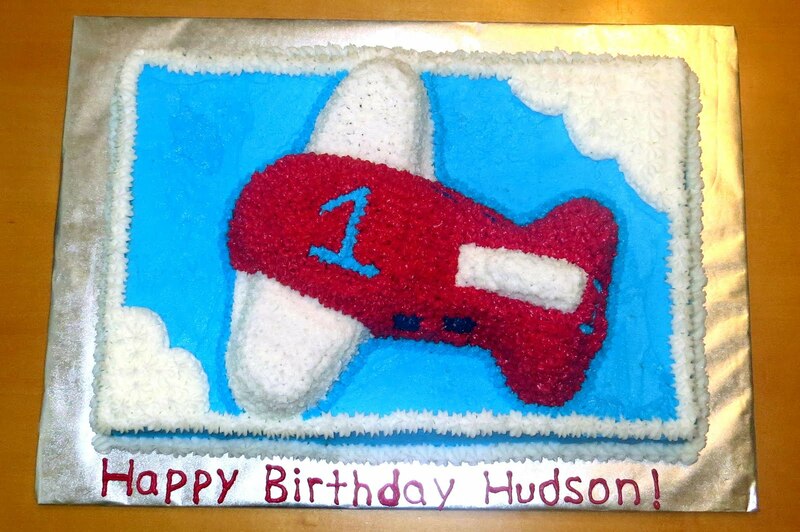 My sweet adorable nephew turned ONE! I made an airplane cake for the party and an airplane smash cake for him! Nothing like having a baby nephew to spoil! To make the party cake, I used the Pantastic Airplane pan to make a cake to go on top of a half sheet cake and decorated as pictured. 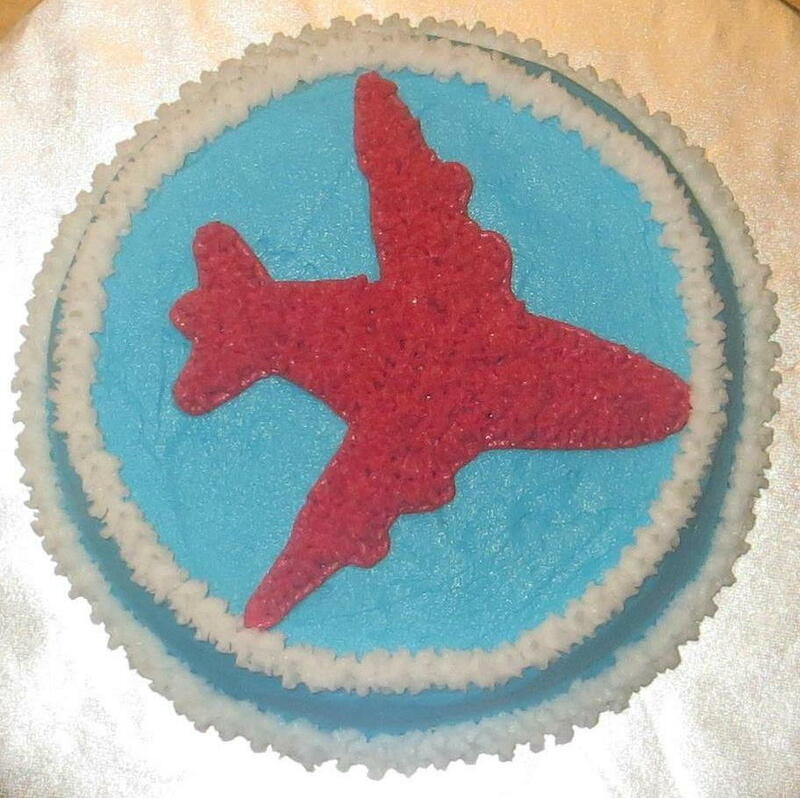 To make the smash cake, I used an airplane cookie cutter to make an indentation in the blue icing that I traced with the red icing and decorated the rest as pictured.